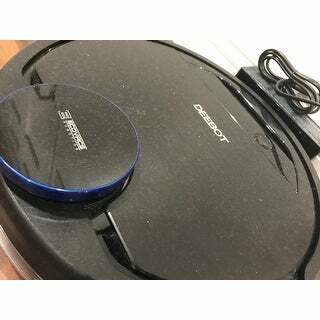 The DEEBOT OZMO 930 represents the next generation of DEEBOTs, and is the first robotic vacuum that can change cleaning power based on floor type. Using ECOVAC's revolutionary OZMO technology, it can both vacuum and mop, depending on your floor. With our latest Adaptive Floor Sensing (AFS) technology, it will avoid carpets while mopping without user intervention, and on carpet, AFS will increase suction power automatically for a deeper cleaning. Additionally, the OZMO 930 is equipped with the latest Smart Navi based mapping so it knows where it is and how to get smarter about cleaning. With the ECOVACS App in your hands, you can effortlessly schedule cleaning times and set cleaning modes, monitor the cleaning status, and enjoy all the convenience of automated housework. You can also use the map to draw virtual boundaries or pinpoint specific areas to clean or avoid. It works with Amazon Alexa Google Assistant to start, stop, and charge just by asking Alexa or Google. Dimensions 13.9 In. X 4.0 In. X 13.9 In. The deebot is super easy to set up with WiFi. ECOVACS App show you step by step in video how to set up the connection with your deebot. It took me about 5-8 mins for setting up for the APP. 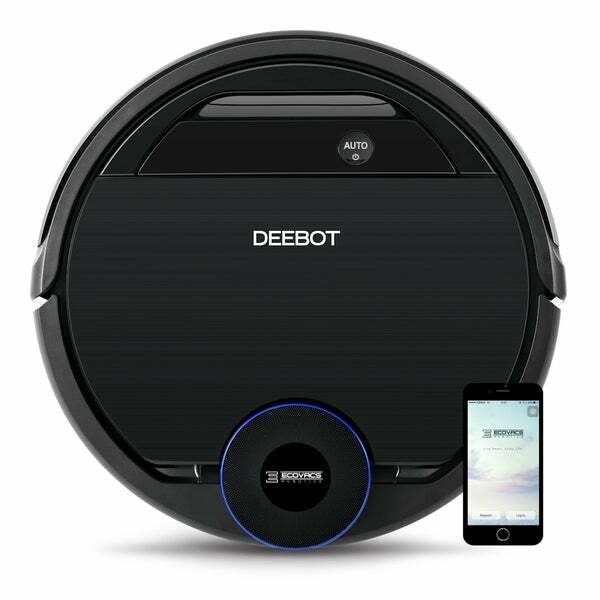 This is the best robot cleaner I have ever had without require me to mop the floor everyday. Deebot had the mapping capability to recognize the area within your house and store in the APP. This is pretty useful since I only wanted to clean living room every single day. It had three or four function for you to put water base liquid to clean the floor. It is extremely easy to clean the vacuum. Super friendly to use and clean. This deebot is the beast. My kid love it by telling Alexa “deebot clean the floor” everyday. The mapping tool in the APP is the best so that I can manage which area to be clean everyday. If you have the kid, they will definitely love deebot like the pet. This is a wonderful robot vacuum and mop. It has an amazing laser mapping system and integration with Alexa and Google Home. It does a pretty amazing job with cleaning. With that said, the Ecovacs mobile application is absolutely terrible. The mobile app runs exclusively on 2.4 GHz wireless bands; you'll need to configure your network settings if you have a dual band router. The mobile app is also non-responsive from time-to-time when trying to manually highlight an area to clean. The mobile app aside, this is a great purchase. The Alexa integration seems fine; it has basic commands to tell deebot to start cleaning, stop cleaning, recharge itself, and report out what it's doing. Let's hope Ecovacs invests in software developers to revamp the mobile app and possibly have a PC (or web) version of the app to scale to a larger audience. the robot is not working the way it should, it's keep getting stuck under the table and it doesn't know where the charging station is and it keeps wondering till it runs out of battery and stuck somewhere is the house. the map is also not working, I am telling the robot to go clean the bedroom and it keep wondering under the table and living room till runs out of battery. Updating review 10/5/18: Returning this item. It started to act erratic and wasn't cleaning properly - staying in corners, being unable to locate itself, etc. Also, the big selling point mentioned before in my review, the floor detection, is sort of deceptive. It can detect when it sees carpet and adjust the suction accordingly. However, the pictures/descriptions on the Ecobots product page insinuate that the unit will detect hard floor, mop and when it detects carpet, stop mopping/issuing water to the pad. This isn't the case - you can use one or the other. and if you have carpets/rugs separating areas of hard flooring, there's too much babysitting involved, as the bot won't cross over the rug/carpet with the mopping pad attached. not worth the extra money. Bought the 900 model without the mopping feature and it actually maps/cleans my house BETTER - the 930 is supposed to be the superior model! Check out my review on the 900 Bundle package listing if you want more info about my experience with it. Really smart in mapping the house. The bot when stuck between furnitures can pull itself out which I was impressed about. It pick up small grains which is an excellent test for cleaning. Obviously it cant pick torn papers because the suction and space is smaller. The app needs more work, but I am sure they'll get there. Totally happy with my purchase.